Recently several new papers were published, of which two on Brazilian land snails are mentioned in this post. This first is by Barbosa & dos Santos about morphological differences in a Happiella species at different localities in Ilha Grande. analysis revealed that the snails from Jararaca differ the most from snails collected in the two other areas, reflecting the different conservation status of these areas: shells reach larger sizes in the localities where the humidity is higher. The similarities in shell morphology were greater between areas that are more similar environmentally (Caxadaço and Parnaioca), suggesting that conchological differences may correspond to adaptations to the environment”. The second paper is by Salvador et al. correcting a lapsus in the neotype designation of Leiostracus subtuszonatus (Pilsbry, 1899). Now the illustration in Reeve’s Conchologica Iconica has been designated as lectotype. Barbosa, A.B. & dos Santos, S.B., 2014. 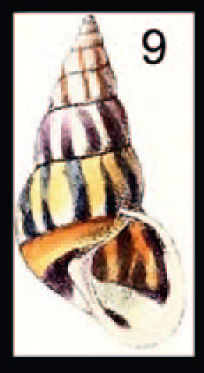 Morphology of the shell of Happiella cf. 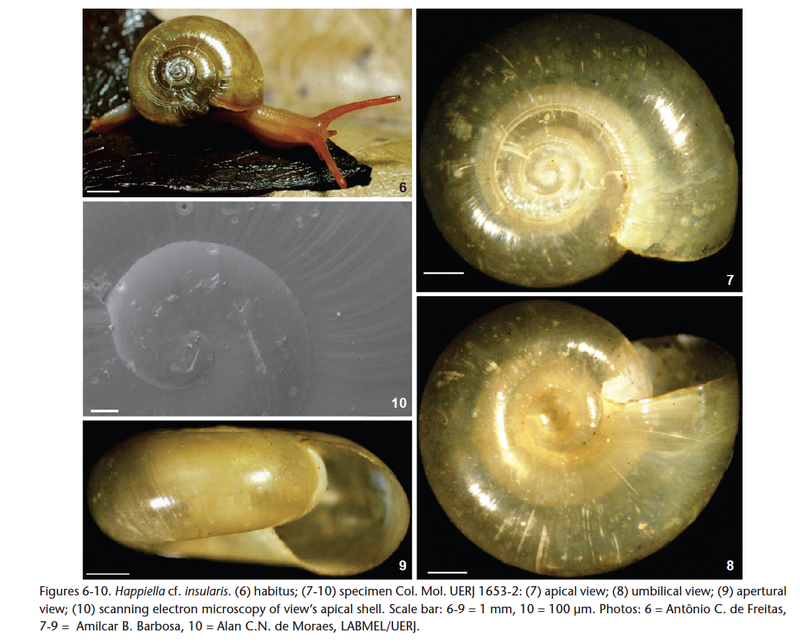 insularis (Gastropoda: Heterobranchia: Systrophiidae) from three forest areas on Ilha Grande, Southeast Brazil. – Zoologia 31: 230–238. Available at http://www.scielo.br/pdf/zool/v31n3/a04v31n3.pdf. Salvador, B.R., Cavallari, D.C. & Breure, A.S.H., 2014. Corrigendum to “Taxonomic revison of Leiostracus onager and Leiostracus subtuszonatus (Gastropoda: Pulmonata: Orthalicidae)” by Salvador & Cavallari (2013). – Journal of Conchology 41: 627–628. This entry was posted in Uncategorized and tagged brazil, ecology, Happiella, Leiostracus, literature, taxonomy, types on October 9, 2014 by bramb.